Economic Facts and Fallacies is designed for people who want to understand economic issues without getting bogged down in economic jargon, graphs, or political rhetoric. Writing in a lively manner that does not require any prior knowledge of economics, Thomas Sowell exposes some of the most popular fallacies about economic issues, including many that are widely disseminated in the media and by politicians. How is it that the law enforcer itself does not have to keep the law? How is it that the law permits the state to lawfully engage in actions which, if undertaken by individuals, would land them in jail? These are among the most intriguing issues in political and economic philosophy. More specifically, the problem of law that itself violates law is an insurmountable conundrum of all statist philosophies. The problem has never been discussed so profoundly and passionately as in this essay by Frederic Bastiat from 1850. This essay might have been written today. It applies to our own time. Historically, Americans have seen libertarians as far outside the mainstream, but with the rise of the Tea Party movement, libertarian principles have risen to the forefront of Republican politics. But libertarianism is more than the philosophy of individual freedom and unfettered markets that Republicans have embraced. Indeed, as Jason Brennan points out, libertarianism is a quite different - and far richer - system of thought than most of us suspect. In this timely new entry in Oxford's acclaimed series What Everyone Needs to Know, Brennan offers a nuanced portrait of libertarianism. Remember when socialism was a dirty word? Now students at America's elite universities are parroting socialist talking points and "sure thing" Hillary Clinton is struggling to win the Democratic nomination against a 74-year-old avowed socialist who promises to make the nation more like Europe. What's happened? Do Americans need a reminder about the dangers of socialist ideology and practices? Tens of millions of Americans, from Generation X-ers to baby boomers and beyond, are rediscovering libertarianism, a visionary alternative to the tired party orthodoxies of left and right. In 1995, a Gallup poll found that 52 percent of Americans said, "the federal government has become so large and powerful that it poses an immediate threat to the rights and freedoms of ordinary citizens." Later that year, The Wall Street Journal concurred: "Because of their growing disdain for government, more and more Americans appear to be drifting - often unwittingly - toward a libertarian philosophy." Libertarianism is hardly new, but its framework for liberty under law and economic progress makes it especially suited for the dynamic new era we are now entering. In the United States, the bureaucratic leviathan is newly threatened by a resurgence of the libertarian ideas upon which the country was founded. We are witnessing a breakdown of all the cherished beliefs of the welfare-warfare state. 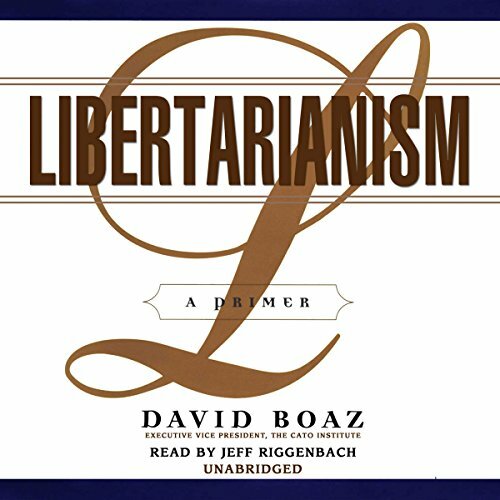 David Boaz presents the essential guidebook to the libertarian perspective, detailing its roots, central tenets, solutions to contemporary policy dilemmas, and future in American politics. He confronts head-on the tough questions frequently posed to libertarians: What about inequality? Who protects the environment? What ties people together if they are essentially self-interested? Great book. 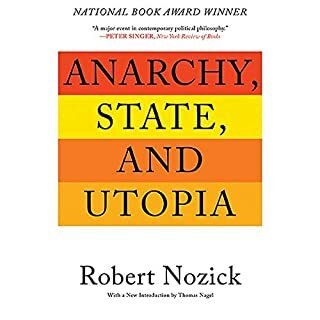 The author clearly defines Libertarianism and writes about it in such a way as to allow political neophytes like myself to fully understand the subject and its practical applications in today's world. I highly recommend this book for the casual reader and the political junkie alike. The book is a good libertarianism in a nutshell. It covers a lot of ground in history and principles. The only regret I have is the quality of the sound. Although it is clear enough to understand it, the sudden changes in volume and pitch make the listening a little annoying. This book is an excellent introduction to the Libertarian philosophy. 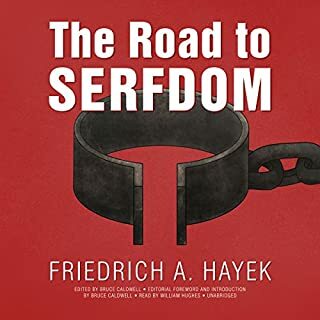 The first half is dedicated to a concise and informal history of governments and social contracts, and the second half is full of examples of how the Libertarian philosophy would address the problems of the world today. Obviously there will be no magic bullet that will fix all the world's problems, but any thinking man or woman will find this to be the most consistent and liberating course to take. If you enjoy this book, any book covering Rand's Objectivist philosophy should be next on your list. I have said for some time that I am a libertarian, and it turns out that I was right. Libertarianism gave me a much more in depth philosophy on which to rest my assumed label and set of political beliefs. 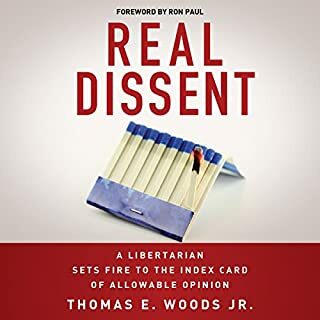 Great read even if you're not a libertarian, clear and concise with excellent, abundant, real world examples of what is and is not (or perhaps what it means to believe in and support) a libertarian way of governance. As Republicans and Democrats battle it out for votes, money, and power, Mr. Boaz lays out a coherent and compelling framework for evaluating their policies, promises, and rhetoric. Freedom and prosperity are inherently compelling to most Americans, but Mr. Boaz explains why and how they work to make our lives better. He provides numerous practical examples to demonstrate the power of liberty to solve problems. Most economics is antisceptic, and most political philosophy is too rareified to be relevant. Mr. Boaz has blended them for the intelligent lay reader who is sincerely interested in the body politic but not patient for the academic jargon that usually is offered to address this topic seriously. It should be required reading for every voter. 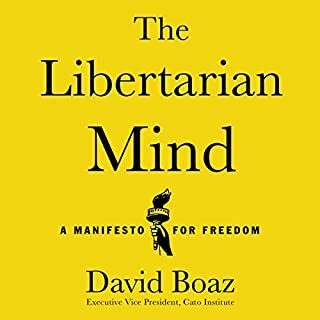 That said, this book does a very good job of explaining the libertarian viewpoint; however, it stops short of what true libertarians aim for. The author takes for granted that we need government for this and that and the other thing, without bothering to explain why. I'm always suspicious of books that make broad, sweeping claims about things that affect everyone's life while affecting the wink-and-nudge attitude that those claims somehow are self-evident - that it would be a waste of time to even think of defending them. For someone who really wants to understand true, unadulterated libertarianism, Murray N. Rothbard's "For a New Liberty" is a far superior book. Rothbard's book is clear, consistent, comprehensive and (yet) concise (event though it clocks in at over 15 hours). Rothbard argues against ANY government - if this sounds loopy to you, listen to his arguments. The man is brilliant. And that book is narrated by Jeff Riggenbach too. It gives the reader an overview of the history of freedom. This book should be in every 8th grade civics class. A great little volume with clear, concise and persuasive ideas. This is a fine book for anyone not familiar with libertarianism philosophy. 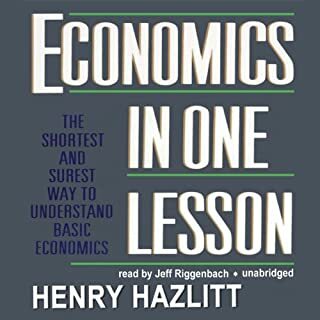 The book covers a bit of history, explains the fundamentals, and gives numerous examples of a libertarian approach to many issues. It takes on a few of the weaknesses of libertarianism, but does not address a few key issues. The US was much more libertarian in the past, but monopolies and depressions led the US to accept some quite non libertarian policies. The author does not address these (at least perceived) weaknesses – which makes this book less perfect than it might have been. I read this book to learn more about the actual principles of Libertarianism. I was a Democrat turned Republican later in life but now I know where I truly stand. This book captures the essence of my beliefs and is extremely well-written. I liked the fact that I now know my true political leanings. I am a Libertarian. Which character – as performed by Jeff Riggenbach – was your favorite? I can't pick a favorite but I will say the narrator was terrific. Tone and modulation and speed of reading were perfect. 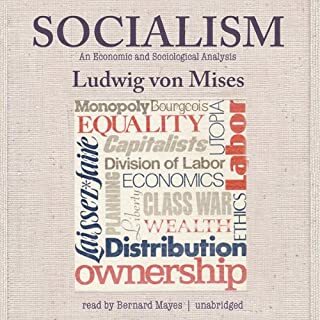 Just a quick review to comment that this is as political audiobook solely based and written for the US market. It discusses a Libertarianism that is in turn largely irrelevant for the UK or international markets. I was looking for an academic discussion, this is not what you get with this audiobook.